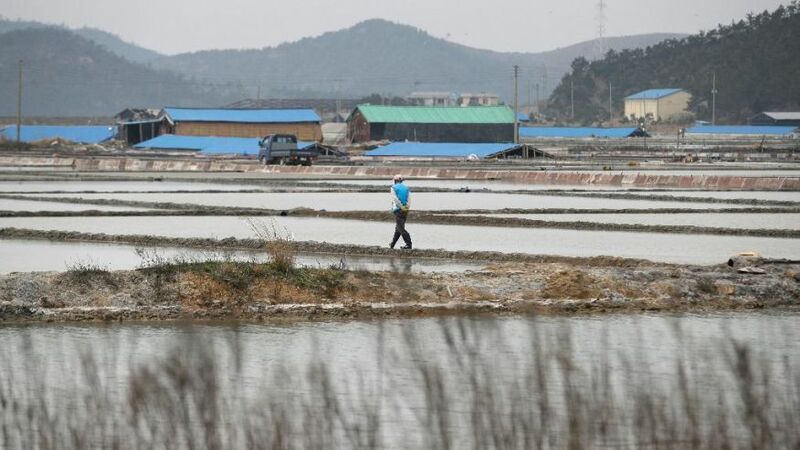 MOKPO, South Korea (AP) — Life as a salt-farm slave was so bad Kim Jong-seok sometimes fantasized about killing the owner who beat him daily. Freedom, he says, has been worse. In the year since police emancipated the severely mentally disabled man from the remote island farm where he had worked for eight years, Kim has lived in a grim homeless shelter, where he has been preyed upon and robbed by other residents. He has no friends, no job training prospects or counseling, and feels confined and deeply bored. “I want to go back,” Kim, 41, said during a recent interview in the shelter near Mokpo, the southwestern mainland port that is the gateway to dozens of salt islands where a months-long investigation by The Associated Press found that slavery still thrives, an open secret among locals. “I feel trapped here,” he said. Kim’s plight illustrates the continuing failure of one of Asia’s richest countries to help workers who have been enslaved on the farms — often people with mental or physical disabilities. Three other disabled ex-slaves also told the AP that they wanted to return to the salt farms because of their misery and sense of aimlessness in the crowded homeless shelters that officials placed them in. On the farms, they said, they at least had a fixed daily routine, a job they became skilled at and a sense of purpose. An official on Sinui, one of the salt-farming islands, confirms that at least one ex-slave has returned to a farm. Activists and officials suspect there are many more. Salt farmers often describe themselves as doing society a favor by taking in the homeless, the disabled, the uneducated and those who can’t get jobs anywhere else and whom the rest of the country would like to forget. 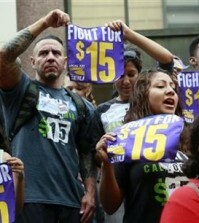 They also acknowledge a harsh economic reality. Revelations of slavery involving South Korea’s disabled on island salt farms have emerged five times in the last decade. Last year’s government probe found more than 100 workers nationwide who’d received no, or scant, pay. A later investigation by police and activists found 63 more such workers in the islands, three quarters of whom were disabled. The investigations began after Seoul police went undercover to rescue a disabled man who had written to his mother to say he was enslaved on a salt farm. That man, Kim Seong-baek, is expected to testify Wednesday in a Seoul court as his former boss appeals a 3½-year prison sentence. Kim Seong-baek, now living in Seoul, has no desire to go back; he says even looking at salt disgusts him. But several other recently freed slaves interviewed by AP say they feel more hopelessness and fear than relief about their lives away from the salt farms. Most of them were homeless before being lured to salt farms by illegal job brokers hired by farm owners. 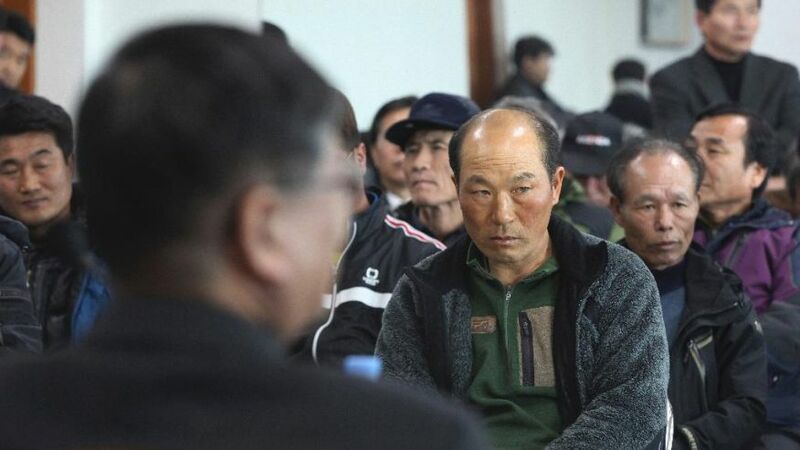 Kim Jong-seok, the former slave languishing in the homeless shelter near Mokpo, said that his ex-owner, who is being investigated for abuse but hasn’t been arrested, recently visited and asked if he’d work for him again for about $90 a month. Lawyers helping the victims said they are alarmed that some disabled ex-slaves are in regular contact with their former masters, but add that the law does not prohibit it. Others released from slavery also struggle to fit into society. Han Sang-deok was freed by police last year after 20 years working without pay on a salt farm on Sinui, the same island where both Kims had been exploited. Until his release, not once did the 64-year-old mentally disabled man leave the island, Han said in an interview at a cafe in Mokpo. 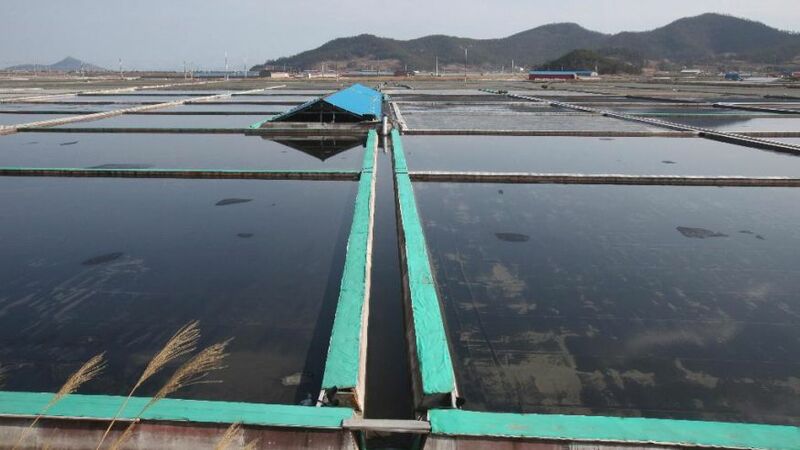 Kang Seong-hwan, an official at the Sinui island ward office who is in charge of monitoring disabled workers, told AP that at least one salt farm slave had returned to his employer after being rescued last year. He said he has little actual power to check up on workers and suspects there are more cases of returned slaves because they have been essentially neglected after moving to shelters. Activists trying to keep tabs on freed slaves often track down victims only to hear them say that they have returned to the salt farms and do not want to be contacted again, said Huh Joo-hyeon, the director of an activist group in Mokpo. 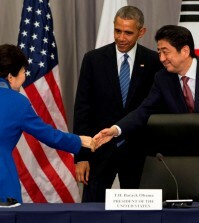 Park Su-in, Huh’s colleague, describes a system in which disabled workers on the islands become dependent on their owners for food and medical care, leading to exploitation. One disabled former slave she talked to didn’t know the words “password” or “bank account,” yet he had a bank account, controlled by his owner, where his disability payments were sent. Amid short-lived public anger last year, regional government officials vowed to open an exclusive facility for the freed slaves and connect them with new jobs. The promises haven’t been kept, and activists believe there’s little chance they will be. Many of the ex-slaves are now in a bureaucratic limbo. Because they have been moved away from the islands in Sinan County, county officials say they can’t help the victims and, besides, they don’t have the space for them. An official from the homeless shelter near Mokpo where Kim Jong-seok lives said freed slaves were supposed to stay there only temporarily, and wondered when Sinan County would take them back. The official, who refused to give his name because he wasn’t authorized to speak publicly, said the facility barely has room for the homeless people in the area, and it’s not their responsibility to provide job programs and counseling. In some cases, guardians have been appointed to protect former slaves’ interests. One ex-slave, Heo Tae-yeong, has a guardian who orchestrated his move from a Mokpo area homeless shelter to a residential facility for the mentally disabled in Gwangju. Heo, who cannot read or count, worries that he will struggle in a new environment, but is excited about the idea of learning job skills in Gwangju. He hopes to one day work in a factory. When asked what he’ll do with the money he earns, Heo takes a long drag off his cigarette. THE SAME GOES TO NORTH KOREA TOO!!! BOYCOTT 2018 WINTER OLYMPICS!!!! !